Designer upgraded four bedroom with custom furnishings, paint, tiled floors. Located on same floor as spa and fitness center. 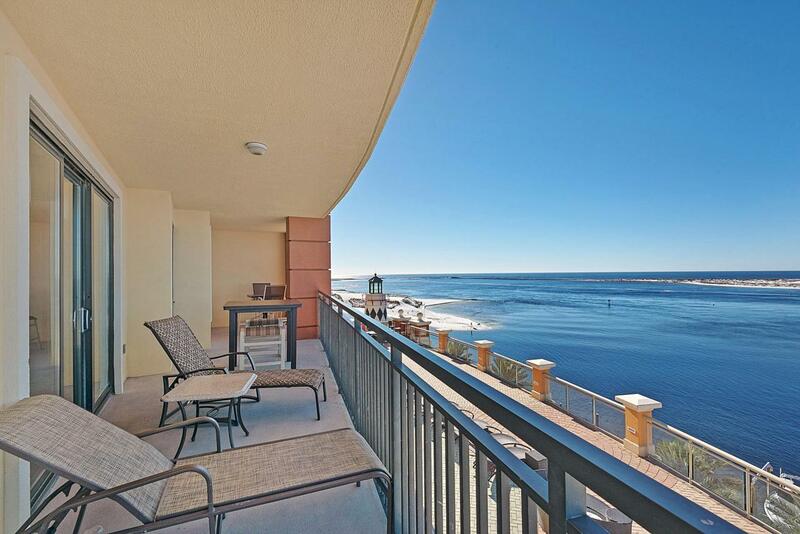 Panoramic water views of East Pass, Gulf of Mexico, Bay, Destin Bridge and Crab Island. This elegant four bedroom corner unit lives like a home with polished style. 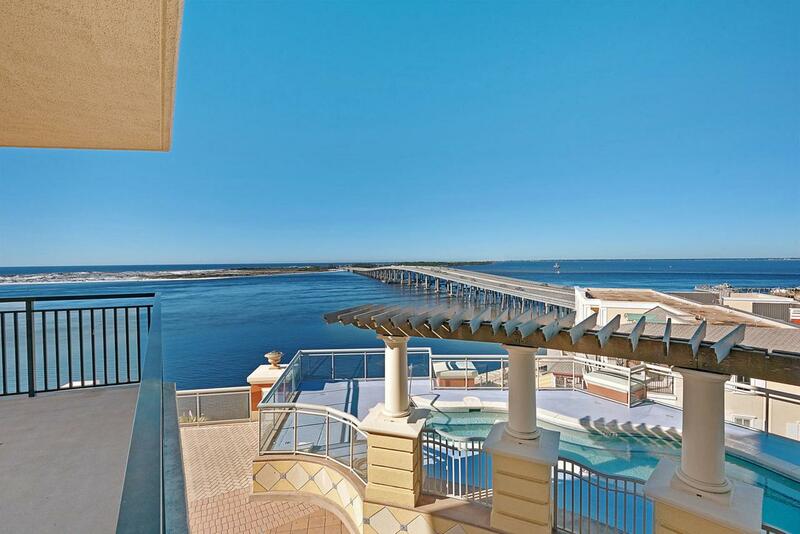 With eyes toward the water, it is a haven of sumptuousness. Crown molding, recessed lighting, 9' ceilings, unique curved breakfast bar, granite, stainless steel. Custom window treatments and lovely sunshades. 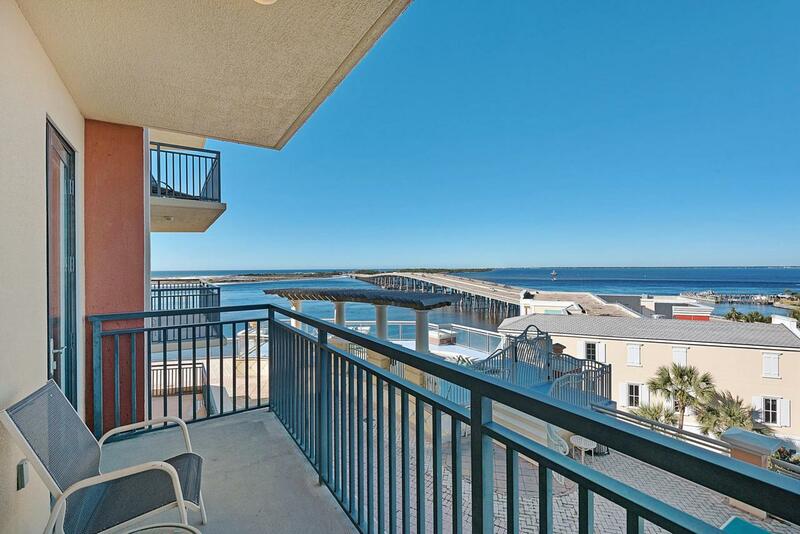 Steps away from your unit are Destin Harbor, marina, fishing boats, dining, full service spa, indoor and outdoor pools, fitness center and all activities that make HarborWalk Village the hub of Destin. Compare this unti with others and see the difference. ** New air conditioner 2019. 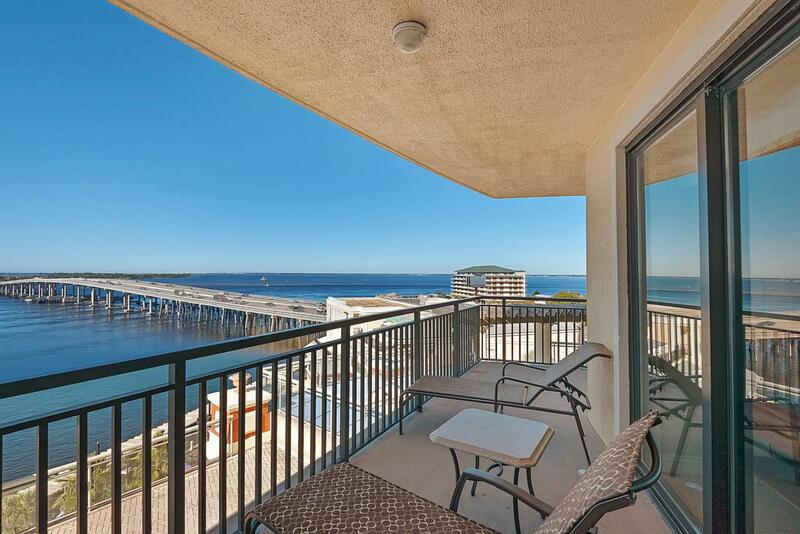 Listing courtesy of Rulnick Realty Inc.
© 2019 Emerald Coast Association of Realtors MLS. All rights reserved. IDX information is provided exclusively for consumers' personal, non-commercial use and may not be used for any purpose other than to identify prospective properties consumers may be interested in purchasing. Information is deemed reliable but is not guaranteed accurate by the MLS or CENTURY 21 Coast Properties. Data last updated: 2019-04-19T08:02:14.347. © 2019 Central Panhandle Association of Realtors MLS. All rights reserved. IDX information is provided exclusively for consumers' personal, non-commercial use and may not be used for any purpose other than to identify prospective properties consumers may be interested in purchasing. Information is deemed reliable but is not guaranteed accurate by the MLS or CENTURY 21 Coast Properties. Data last updated: 2019-04-19T08:04:25.853. © 2019 Realtors Association of Franklin and Gulf Counties. All rights reserved. IDX information is provided exclusively for consumers' personal, non-commercial use and may not be used for any purpose other than to identify prospective properties consumers may be interested in purchasing. Information is deemed reliable but is not guaranteed accurate by the MLS or CENTURY 21 Coast Properties. Data last updated: 2019-04-19T07:42:24.303.